The 2-Day VISA-Free Moderate Shore Tour is a bestseller of a private tour - it is the most popular private tour for cruise passengers of ours. 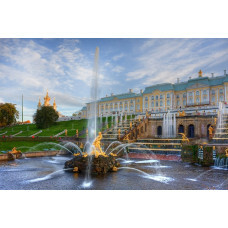 This tour includes everything a tourist likes to see in Saint-Petersburg, only missing some of the less popular and famous sights of St. Petersburg. During this tour you will learn a lot about the fascinating history of St. Petersburg, which grew fast around Neva river in XVIII century to became a new beautiful capital of Russian Empire. You will visit splendid palaces and learn a lot about Russian Emperors and their way of life, get acquainted with cultural and artistic treasures of St. Petersburg which is still considered as Russian cultural capital. We guarantee that you will remember that trip for a long time!